“Pop it in, and the noise is gone”—so goes ZQuiet’s slogan. If you live in the US, you’ve probably seen the TV commercials; and if you’re also a snorer, you’ve probably also wondered if that slogan is actually true. After all, snoring can have serious health consequences! 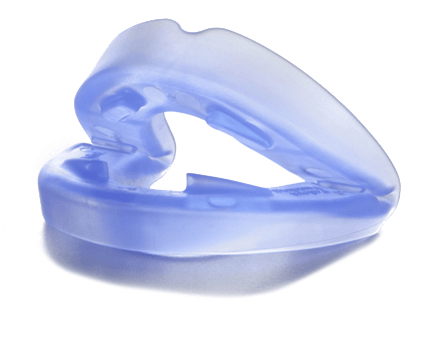 What better and more convenient way to deal with the problem than trying out an anti-snoring mouthpiece that comes with a trial period and positive testimonials from other users? We should mention this before we go on with the rest of the review, though: Unlike some commercially available counterparts, ZQuiet is not a simple over-the-counter solution. Sleeping Well LLC—the makers of ZQuiet themselves—state that US federal law restricts the product to sale by or upon a prescription from a physician or a dentist. Additionally, the product is meant to address simple snoring and is definitely not a treatment for sleep apnea; unless you use ZQuiet due to a recommendation from and under the supervision of your doctor. For best results, do make an appointment with a healthcare professional and get a proper diagnosis. Once you know why and how you snore, it’s easier to deal with and manage. And if you are interested in trying out ZQuiet, ask your doctor about it while you’re discussing treatment options. ZQuiet is a dentist-designed appliance that was developed to be effective and easy to use, while also being as flexible and unobtrusive as possible. It is not a TSD (like ZenSleep‘s ZenGuard, for example), but a type of Mandibular Advancement Device (MAD)—sometimes also called a Mandibular Advancement Splint—which is a gadget that is supposed to be worn in the mouth in order to move the user’s lower jaw forward a few millimeters. What does this accomplish? By keeping the jaw in place like this through the night, it removes resistance to airflow at the back of the throat and increases the size of the airway; thereby reducing air obstructions that lead to snoring. ZQuiet benefits from what Sleeping Well LLC calls Living Hinge Technology, which allows for the flexibility that is not usually present in similar dental appliances. Often, an MAD will force your jaw into a single position that you will need to hold throughout the time you are asleep. With the special living hinges present in ZQuiet’s design, you can relax and move your mouth naturally. With each purchase, you get what Sleeping Well LLC calls a 2 Step Comfort System. Really, this just means that along with a compact case, two different mouthpieces are provided: one that encourages a slight adjustment, and one that is much more offset. This ensures that you get the treatment that is best for your snoring situation. In general: Size A’s adjustment is milder, and is typically for milder snorers; while Size B’s adjustment is more severe, and is typically for more severe snorers. While your dentist or doctor will be able to help you choose which mouthpiece is right for you, it really is up to your personal level of comfort. ZQuiet is designated as a Class II medical device by the US FDA, which means that it meets regulatory requirements set by the government. 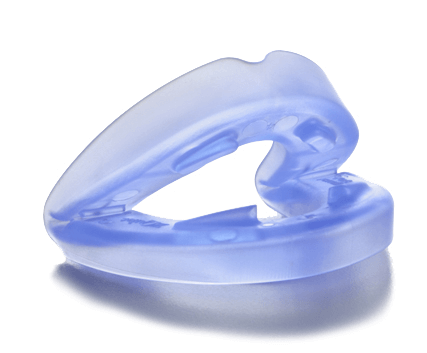 The mouthpiece is made from an FDA compliant thermoplastic elastomer which does not contain Bisphenol A (BPA) or latex. It’s also said to have passed consumer safety testing. Not only is ZQuiet safe to use; but as it’s also classified as a medical implement, it follows that there is a measure of effectiveness that is already proven to professionals. Apart from making sure that you clear this with a healthcare professional, there are other considerations that you need to make before settling on ZQuiet as your anti-snoring device of choice. There are, of course, physical incompatibilities: If you have an overbite, you may not be able to use ZQuiet—or most MADs, for that matter—because you may not be able to comfortably move your lower jaw forward and hold it in that position for very long. If you use full dentures, Sleeping Well LLC does not recommend the use of ZQuiet. Sensitive teeth or jaw problems may also be incompatible with the use of this appliance. There is also a two-part consumer complaint that comes up from time to time in even the most positive of ZQuiet customer reviews we’ve found online: the durability and the cost. Take note that mouthpieces do need to be replaced; no one should expect a MAD or a TSD to last forever. However, for the cost, some feel that the ZQuiet does not last as long as it should before the need for a new one; though it does last for several months with proper maintenance, even with nightly use. If you find that the mouthpiece collapses or softens too soon for your liking, you may want to switch to a different product or talk to ZQuiet customer support to see if there’s anything in your maintenance routine that you can do differently to lengthen the device’s lifespan. 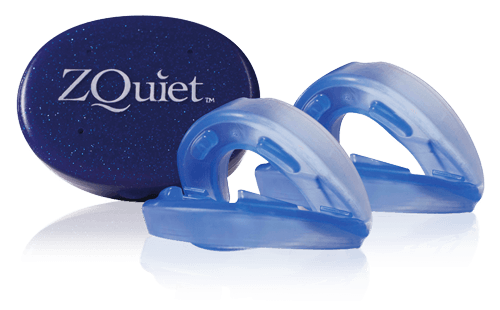 On the other side of the spectrum, other customers have also said that ZQuiet ended up being used by more than one person, due to two mouthpieces being included in one purchase. In other words: If you and someone else—a partner or a parent, for example—both snore, you can theoretically buy ZQuiet and use one appliance each. We don’t recommend this unless both are a perfect fit, though. The point of including two sizes is to make sure that the user experiences the highest degrees of comfort and flexibility possible. What is unique about ZQuiet is how it fits in the user’s mouth. MADs are usually either custom-made for a patient–requiring a special fitting process—or are moulded very quickly using a boil-and-bite technique that’s very common for over-the-counter versions. ZQuiet is made to work without any fitting required, and most of the time it can be used right out of the box. This is the major reason why it comes in two sizes. You really can, as the slogan goes, just “pop it in”. Its lightweight design keeps it from being bulky and cumbersome; and it doesn’t make mouth breathing difficult, like some other MADs do. If you find that ZQuiet isn’t as comfortable as you would like, the company does say that you can carefully trim the product with small scissors to improve the fit. Just make sure to use an emery board or a nail file to smooth down the rough edges that result, so as to avoid irritating your gums when you start using your ZQuiet regularly. After using, you can clean your ZQuiet using warm water and mild dish soap. You can use a toothbrush, but note that you cannot use toothpaste! Doing this may cause product discoloration and surface alteration. Rinse well prior to storing the appliance in the case that is supplied with the purchase. The container will help ZQuiet retain its shape, and will keep it safe from accidental damage. This is really where the company’s patent-pending Living Hinge technology shines. Due to the flexibility afforded by the design of this device, you can drink water and even talk with ZQuiet in place. Unlike other MADs, you can sleep with your mouth open or closed; mouth breathing is not an issue. While this may not seem like a big issue on normal nights, mouth breathing may be essential on occasions when your nose is obstructed—such as when you’re suffering from allergies or fighting off a cold. Like any dental appliance, there will be an adjustment period. Yes, you may drool a little during the first few nights of use. This is normal. Yes, you may feel some discomfort and maybe even some jaw soreness; and yes, this is normal, too. This is due to your jaw muscles being conditioned to accept a regular, hours-long displacement from what they are accustomed to be like when you are completely at rest. What should be a cause for concern is if the discomfort does not go away a few minutes after removing the mouthpiece. If you experience this, tell your doctor immediately so you can work together to find a solution. MADs may feel uncomfortable at first, but it should never be the cause of outright and lasting pain. The product was developed and is made in the USA, and you can buy it directly from the company that makes it—but only if you are a medical professional or if you have the prescription to show for it. It’s not available elsewhere, which makes quality control and efficiency easier to manage for the company; and something that we should expect as customers. Headquartered in Vermont, Sleeping Well LLC has been around for almost a decade. ZQuiet was developed by the company founders Dan and Katrina Weber—a couple that shared a snoring problem—and Avery Lieberman, a dentist with a background in sleep medicine going back two decades. The popularity of ZQuiet continues to rise, but it’s not just the TV commercials that push the product forward; the company’s history and reputation does a lot to ease people’s minds. Purchases can only be made on the ZQuiet official website, which has SSL Secured Online Ordering; and Sleep Well LLC itself is a BBB Accredited Business with an A+ rating. You can call a telephone number and talk to a ZQuiet Counselor about further questions; and though this service is not available 24/7, the lines are open for over eight hours every day of the week. You can also email them. Sadly, there is no live chat on the official website, though this is not a requirement by any means. On a related note, Sleeping Well LLC also maintains a blog about sleep health that is very much up our alley! We enjoyed going through their content, and while this may not be customer support in a traditional sense, we do think that the maker of ZQuiet deserves brownie points for creating a great online source for not only snorers but for people interested in sleep health in general. Yes, there is a trial period with a return policy; but there’s a catch. It’s not a free trial! This is something that is uncommon, but actually still not a bad deal—all things considered. Here are the details: You can pay a $9.95 trial fee to try out ZQuiet for 30 days. If you’re unsatisfied with the product, you can ship back ZQuiet within the 30-day period. Note, though: The initial payment of $9.95 is non-refundable. To make sure that you return the product in time, contact customer service immediately after you decide that ZQuiet is not for you. Ask for a Return Authorization Number (RMA) and further instructions on how to send the product back. Returns without an RMA won’t be honored. Repeat orders cannot be returned unless there are defects straight out of the box. Returned mouthpieces are considered used and will not be resold, but they are checked for defects before they are destroyed. Devices that are returned damaged due to improper use cannot be returned. The $9.95 trial fee is basically the shipping and handling fee; which is why even if you decide to buy the product without availing of the trial, the price would still the same! On top of the initial fee, the full price of ZQuiet itself is $79.95. The official website runs occasional promos, too; for example, at the time of this writing, there is an offer for a 50% discount on a second ZQuiet purchase. This is not a product that you can try risk-free. There is no free trial! However, this is also not a product that you can try without the recommendation of a medical professional; so if you’re trying out ZQuiet, chances are you are prepared to spend for a treatment option, anyway. At less than $10, the trial fee is more than worth it; compared to paying for a more expensive, custom-fitted MAD that you will have to pay for even if it turns out to be not something you’d want to wear every night. Bottom line: If your doctor recommends it, you should try it. This is especially true if you’ve tried other MADs before and found them to be too rigid, too unforgiving, or too uncomfortable. ZQuiet may also be better for you if you occasionally breathe through your mouth when you sleep. While durability may be an issue, the added comfort and ease of use may be enough of a plus to consider this over other counterparts.